We’re in the process of recruiting this year’s panel of judges, but we already have our three senior judges in place for The Wine Merchant Top 50. They are Hal Wilson, of Cambridge Wine Merchants; Philip Amps, of Amps Fine Wines in Oundle; and Kate Goodman of Reserve Wines in Manchester and BBC TV’s Food & Drink programme. We’re very proud to have judges of this calibre involved in this year’s competition and will be naming the other independent judges in the next few weeks. The Wine Merchant Top 50 is a wine devoted entirely to independent wines, judged by independents. The winners will be showcased at the London Wine Fair and featured in a special supplement in The Wine Merchant. For more information about the competition and how you can get involved, please visit the website. Ten million people – a quarter of all alcohol drinkers – now buy wine online or from other direct-to-home (DTH) channels. 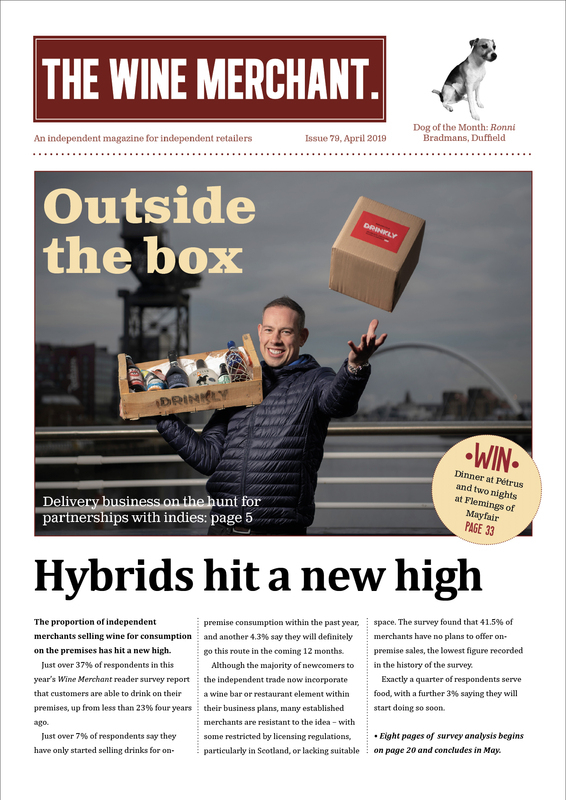 New research from Wine Intelligence estimates that DTH sales are worth as much as £800 million, which equates to around 13% of the off-trade wine market. Although data from online retailers and wine clubs is notoriously hard to quantify, Wine Intelligence suggests that Tesco has a market share of 28%. Direct Wines – which runs Laithwaites, Virgin Wines and the Sunday Times Wine Club – accounts for 25% of sales. No figure has been put on independents’ share of the market but the research found that people buying online from such stores tend to be older than the market average, and are more likely to be male. The average online spend on a bottle of wine is £6.12, but this figure rises to more than £6.70 on the websites of more specialist shops (a definition that includes retailers like Majestic, Slurp and Oddbins, as well as independents). Those who buy wine online or through a wine club are more likely to be in the AB socio-economic groups. Convenience is a bigger purchase motivator than price, the research found. This article appears in the January edition of The Wine Merchant. Click here to access the digital version. The independent sector is a lively and dynamic area of the UK wine trade. Keeping track of changes is tricky – which is why this part of the market is still so widely misunderstood. The Wine Merchant reader survey provides a valuable opportunity to put this right. More than 100 independents responded to last year’s online questionnaire and the 2014 survey will illustrate how much has changed in the past 12 months. The results will show how confident retailers are feeling about their businesses, where they expect growth to come from, and what areas of the market excite them most. 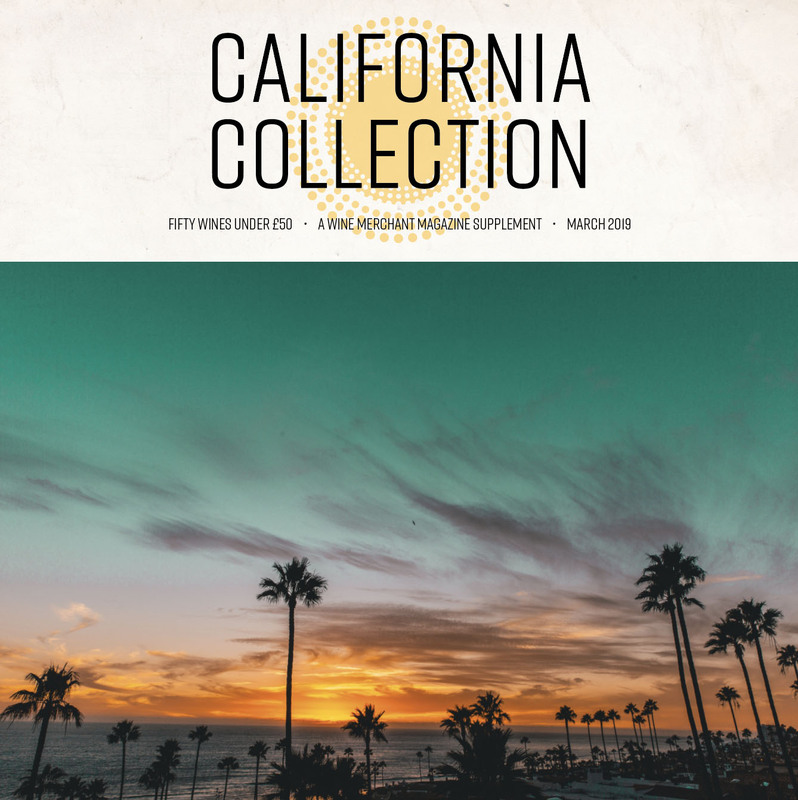 It’s a period of unprecedented diversification for many independents and the survey will cast light on the trends towards on-premise sales, delicatessen offers, craft beers, artisanal spirits and much more. It’s also a unique opportunity to give feedback to suppliers. Which importers are doing the best job, and what could they be doing better? Taking part in the survey should take no more than 10 minutes of your time. Although we’d like you to respond to all the questions, you can skip any that you’d rather not answer. All your answers will be treated in strict confidence, except where you give permission for quoting. The aim is to build up a detailed picture of the market as a whole, not to publicise information about individual retailers. 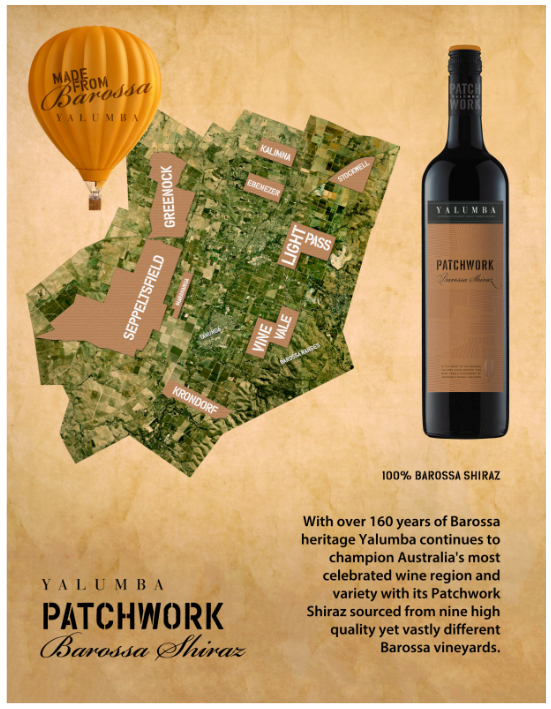 Our friends at Negociants UK are offering a case of Yalumba Patchwork Barossa Shiraz (see below for details) to one randomly-chosen respondent. The grapes for the 2011 Patchwork Shiraz are sourced from a mix of vineyards ranging from young (10-12 years old) to mature vines (35 years or older) and are planted in a diverse range of sites, which all have slight variations in micro-climates and soil types. Please note: the survey is only open to UK-based specialist wine retailers with shops open to the public. We regret that online-only and direct mail merchants are excluded. The winners of the Sichel 1883 Quiz (The Wine Merchant, December) are Simon Taylor of Bin Ends at The Bear in Stroud who wins the imperiale of Château Palmer 1982, and Martin Tickle of Corney & Barrow who wins the double magnum of Palmer 1989. The winner of the Absolutely Cracking Wines from France competition is Jill Corr of Valhalla’s Goat in Glasgow, who wins a mixed case of wine.